North Korea could be preparing another missile test after ‘brisk activity’ at Kim Jong-un’s nuclear research facility, which is feared to be now leaking dangerous amounts of nuclear fall-out which is being blown over parts of Japan. According to military and weather experts, the deadly nuclear tunnel collapse in North Korea which killed 200 people last week is now leaking dangerous amounts of radiation with the threat of strengthening northwestern winds blowing the fall-out toward northern Japan, ironically over the crippled Fukushima nuclear plant. 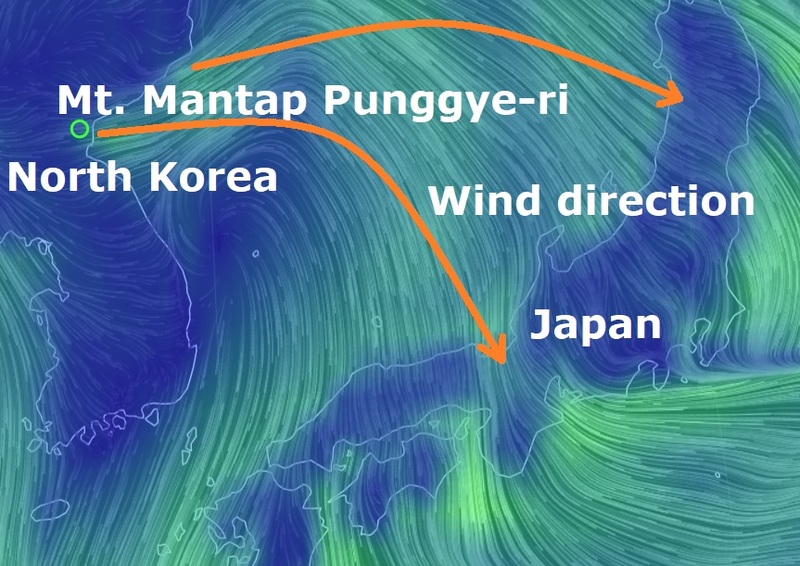 As winds pick up out of the northwest over the next few days, it is possible that any radiation that leaks from the site could be carried and dispersed across the Sea of Japan [East Sea] and even to the Japanese islands." According to The Asahi Shimbun, Pyongyang’s six nuclear tests at its Punggyeri site have weakened the mountain in the area to such an extent that radioactive substances could spew out from the next test.